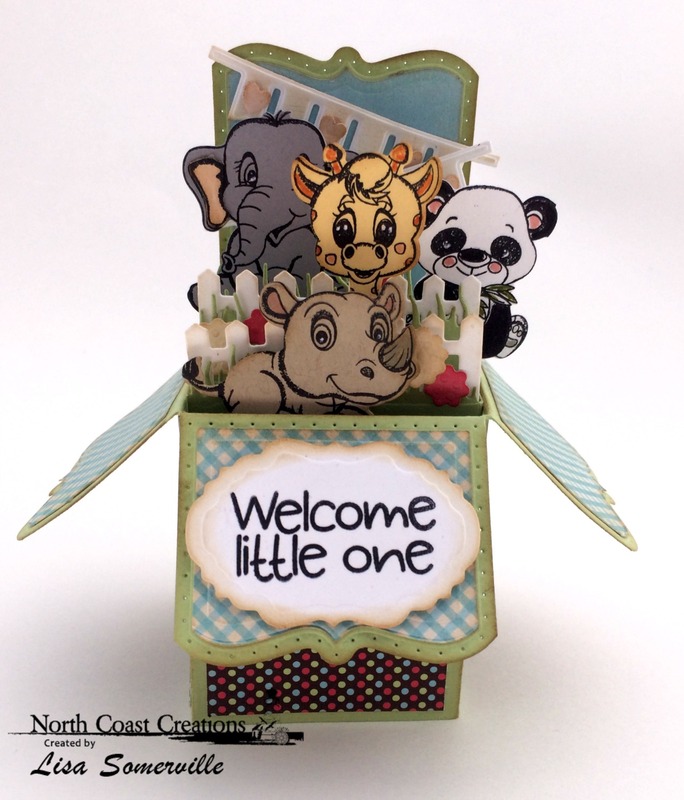 This month North Coast Creations is releasing two adorable Stamps and Dies sets along with one stamp set! I thought these baby animals from the Bundle of Love Stamps and Dies set would be perfect to use along with our Daily Bread Designs 3D dies! 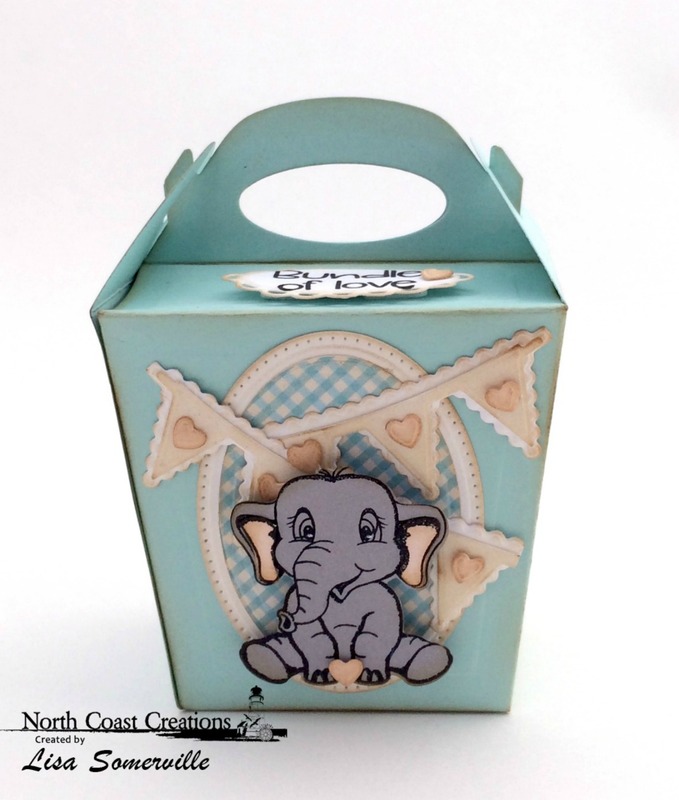 My first project features the ODBD Glorious Gable Box Die and the cute elephant from the Bundle of Love Stamps and Dies set. I think these would be great to use for baby shower favors! My next project uses Our Daily Bread Designs Surprise Box Die along with the Bundle of Love Stamps and Dies set. The dies make cutting out the animals a breeze! For most of the images, I simply stamped them onto card stock and die cut. Then added a White Gel pen "dot" to the eyes, sponged the edges and either added a bit of coloring or paper piecing. These are the sweetest, Lisa!! 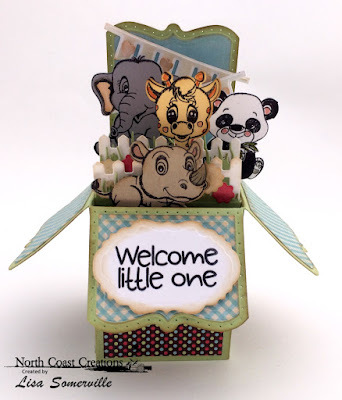 Love your Gable box with the cute elephant and your surprise box is awesome!! Beautiful work!! !